Nobel Prize Winner Prof. Elie Wiesel and filmmaker Michael Grynszpan met in New York this week for an interview. 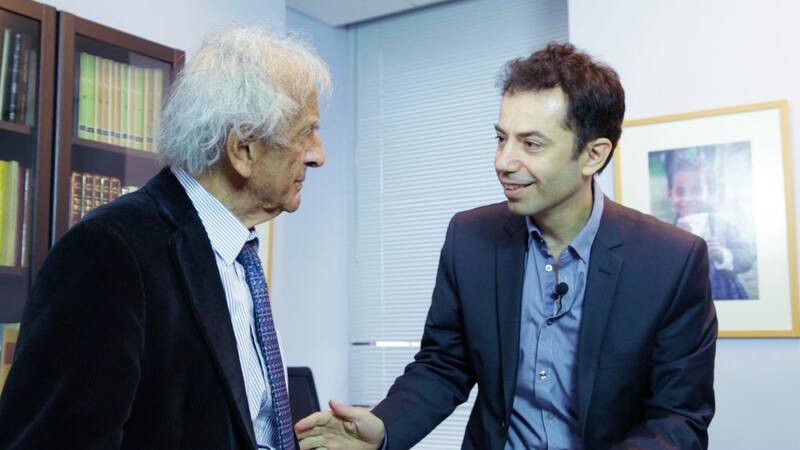 They talked about Monsieur Chouchani [Shoshani] who was Elie Wiesel’s teacher for two years and let a huge impact on all his other disciples around the world. 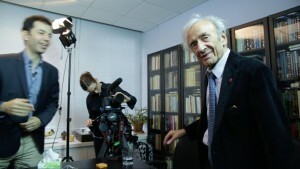 This entry was posted in Uncategorized and tagged elie wiesel, film, filmmaker, genius, interview, Jewish, judaism, kaballah, levinas, Michael Grynszpan, Mister Shoshani, Mister Shushani, monsieur Chouchani, Monsieur Chouchani and tagged Chouchani, Monsieur Chouchani Mister Shushani מר שושני, monsieur shoushani, shoshani, אלי ויזל, גאון, מורה, מיכאל גרינשפן, מר שושני, סרט תעודי, ראיון, שושני on June 5, 2015 by Monsieur Chouchani.